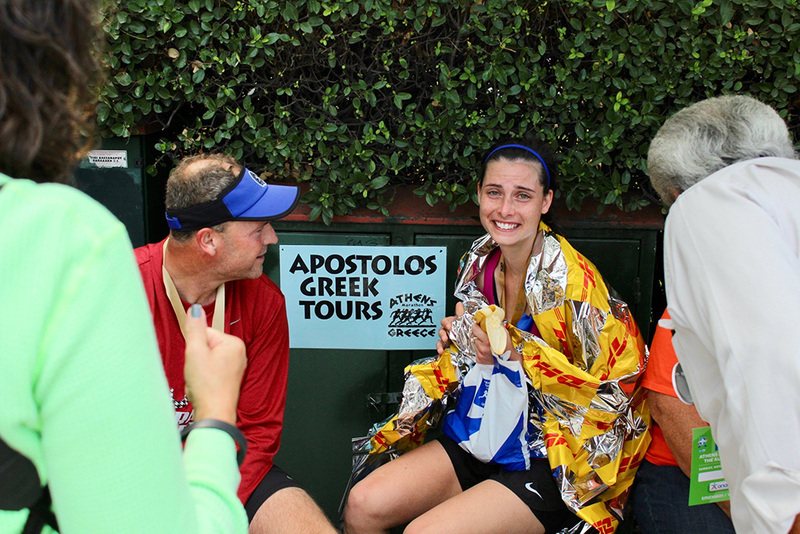 The Athens Marathon is like no other on Earth. 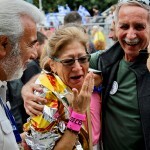 According to legend, it covers the same ground that the Athenian messenger Phiedippides ran when he brought news of victory from the battlefield of Marathon 2,500 years ago. 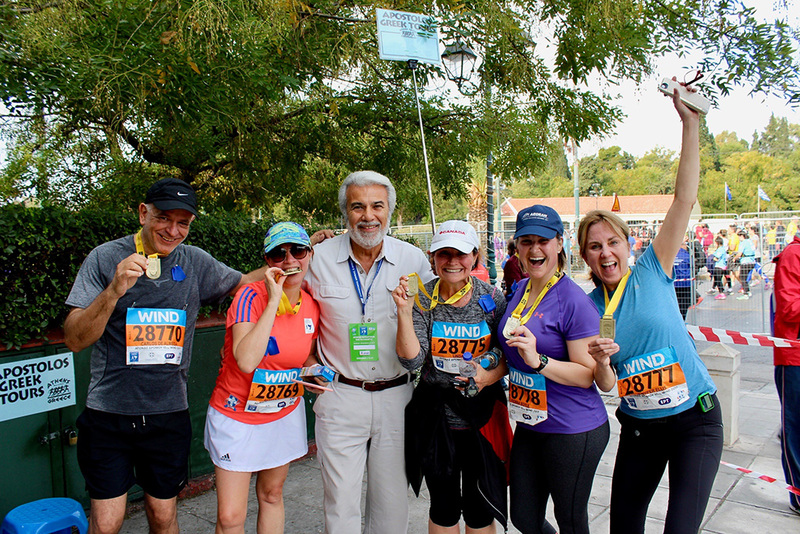 When you run the Athens Marathon, you run in the very footsteps of the ancient gods and heros that gave birth to western civilization. 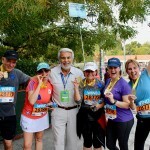 The finish line is in Athens’ magnificent Olympic Stadium, the birthplace of the modern Olympic Games. 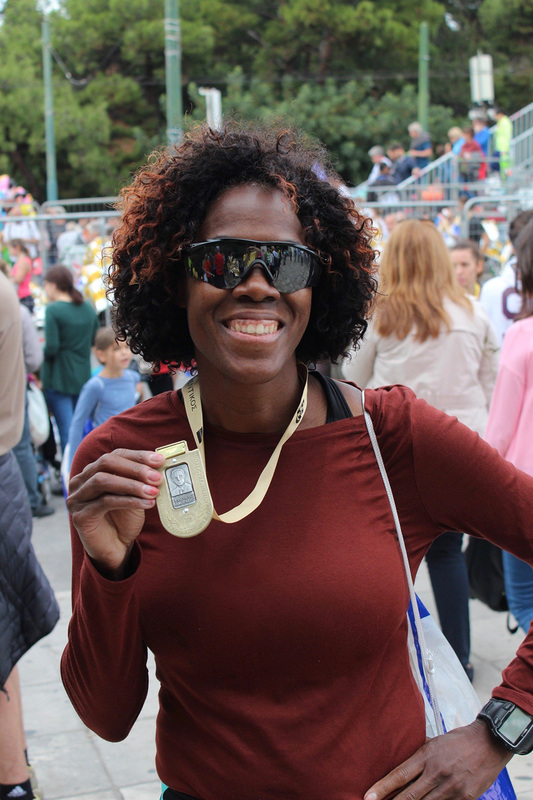 Those who run the Athens Marathon say it is an experience they’ll never forget.The Athens Marathon is recognized as the original marathon course and it was the same course used in the 2004 Olympics held in Athens. 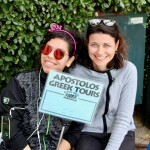 Apostolos Greek Tours offers you the best way to experience the Athens Marathon. 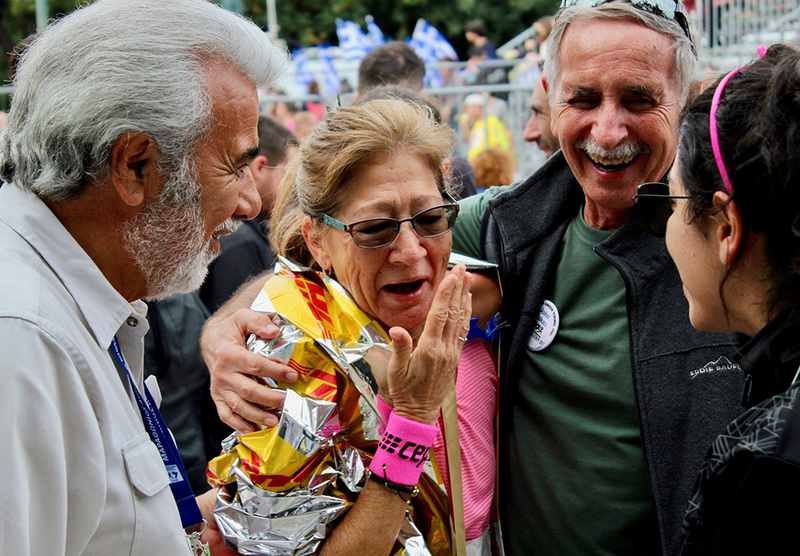 Paul Samaras, who personally conducts the Athens Marathon Tour each year, is a Greek native now living in Denver. He works closely S.E.G.A.S. 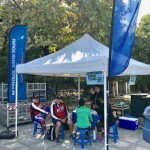 (hellenic amateur athletic association) and others in Greece to smooth out the hassles so you can concentrate on what matters—running your best and experiencing Greece. 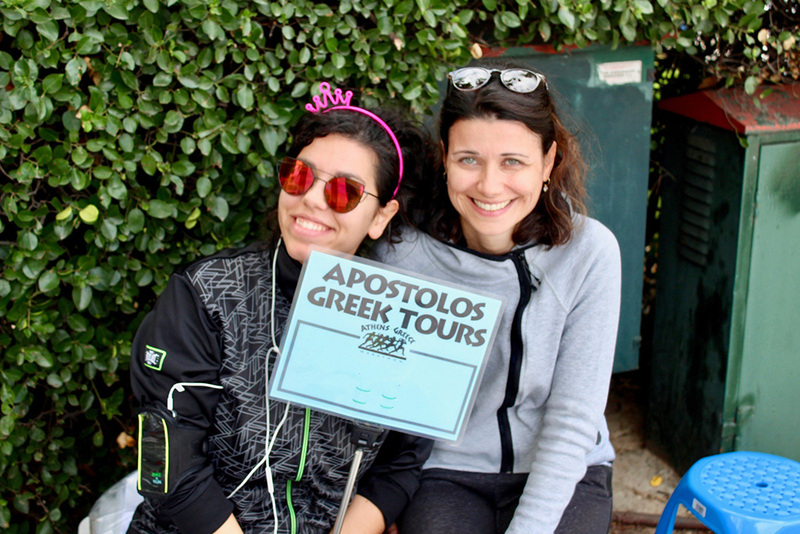 Check out what is included in the Apostolos Marathon Tour packages. 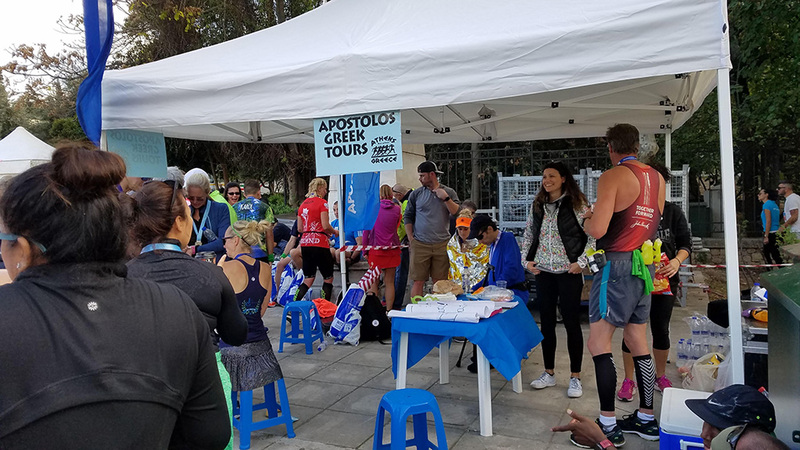 Check out what some of previous tour members had to say about the Athens Marathon and Apostolos Greek Tours. 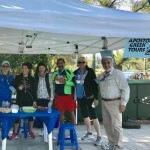 9:00 AM at the ancient battlefield in the town of Marathon. 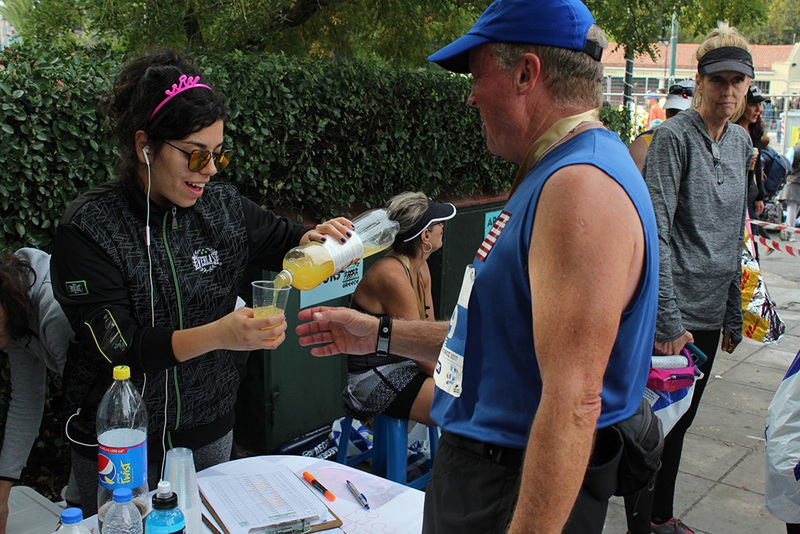 (Runners need to be at the start at least one hour before). 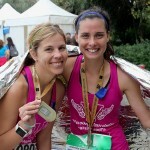 Your must be at least 18 years old to enter the Athens Marathon. There is no qualifying time. The course is open for 8 hours. 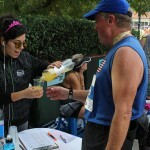 For the 10k and 5k you must be at least 12 years old with parental authorization. 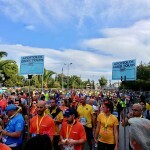 New Changes for the 10km that is part of the Athens Marathon Program. 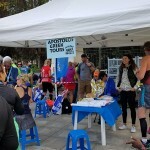 The 10km Road Race will, from now on, be held on Saturday late afternoon (meaning the day before the Marathon Race on November 9th 2019). 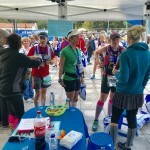 The actual start time will be announced at a later date. 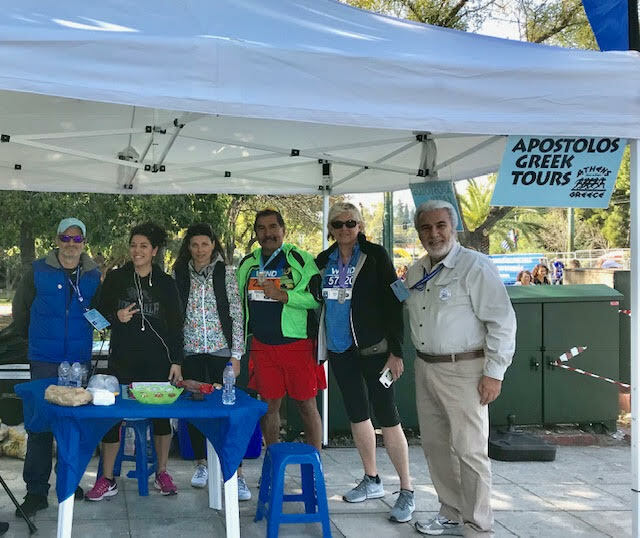 The Marathon Race will be held as usual on Sunday, November 10th 2019, and the 5km Road Race will be held the same day in the morning. 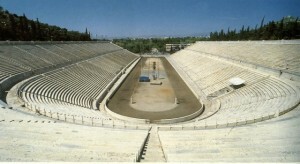 All event’s races will finish in the historic Panathenaic Stadium. • Transportation to the start. 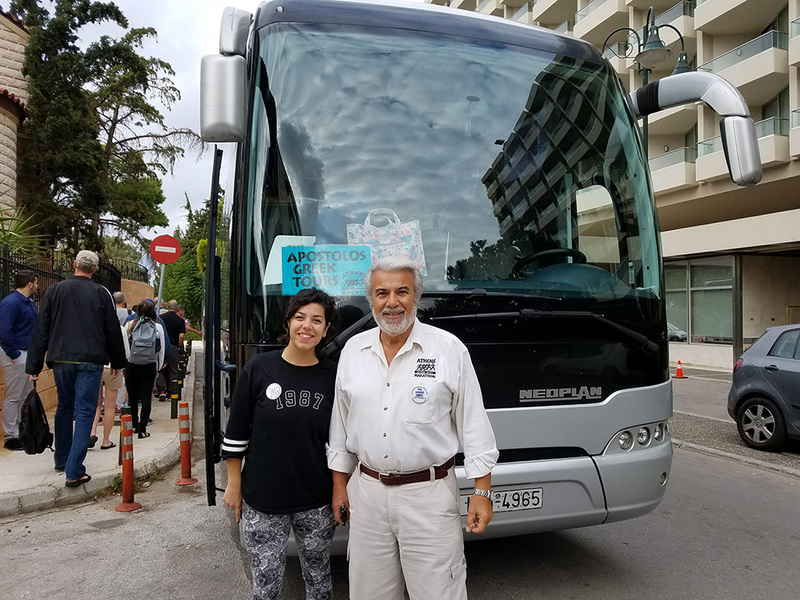 Our buses pick you up in front of our hotel. • 4 course dinner, with plenty of wine. • Our friendly and knowledgeable staff is available 24/7. 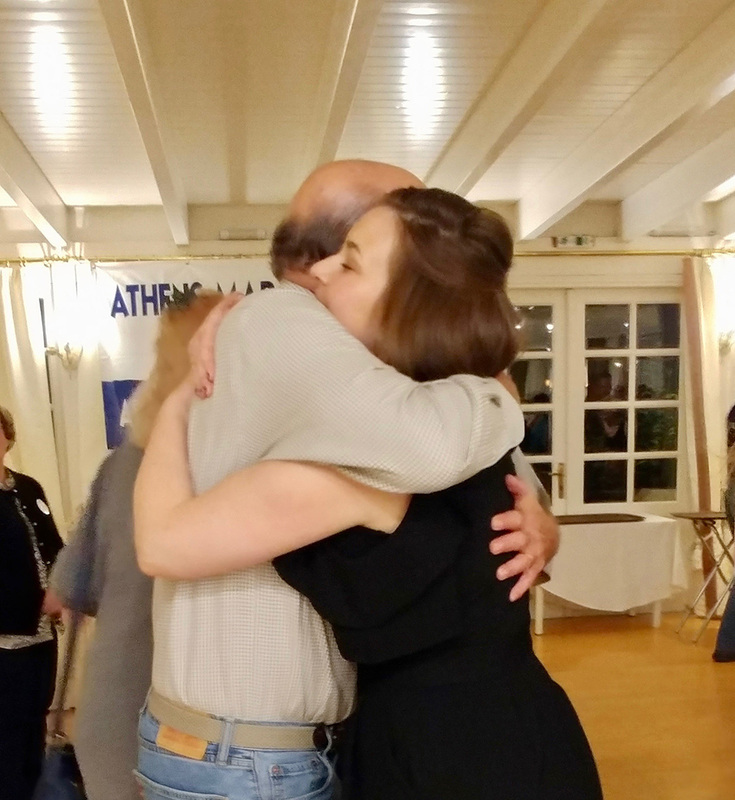 …the first battle for democracy was fought at the Greek village of Marathon. 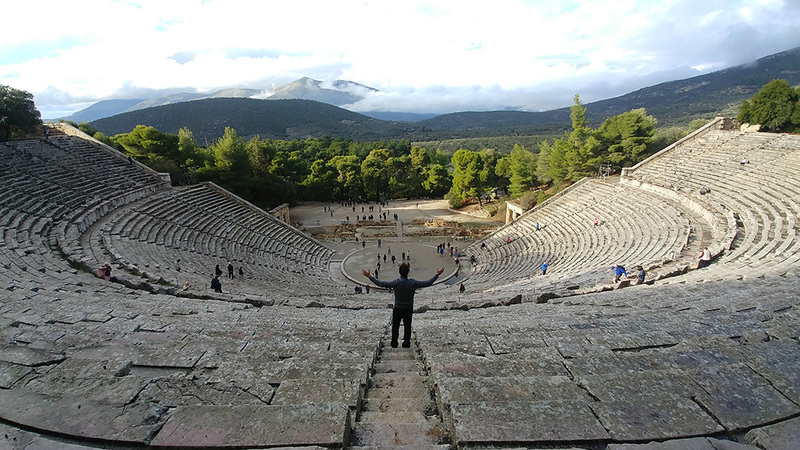 Though overwhelmingly out numbered by an invading Persian Army, the citizen-soldiers of Athens prevailed and in so doing allows the first democracy to be established and preserved the classical Greek way of life that became the foundation of western civilization.Legend has it that, when the battle was won, the Athenian messenger Phidippides ran twenty-four miles to Athens, carrying news of that stunning victory. 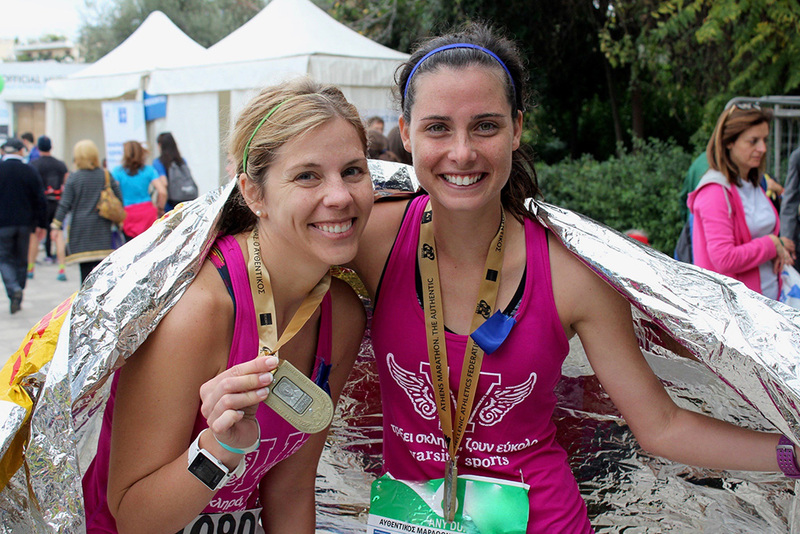 The modern marathon commemorates this feat. 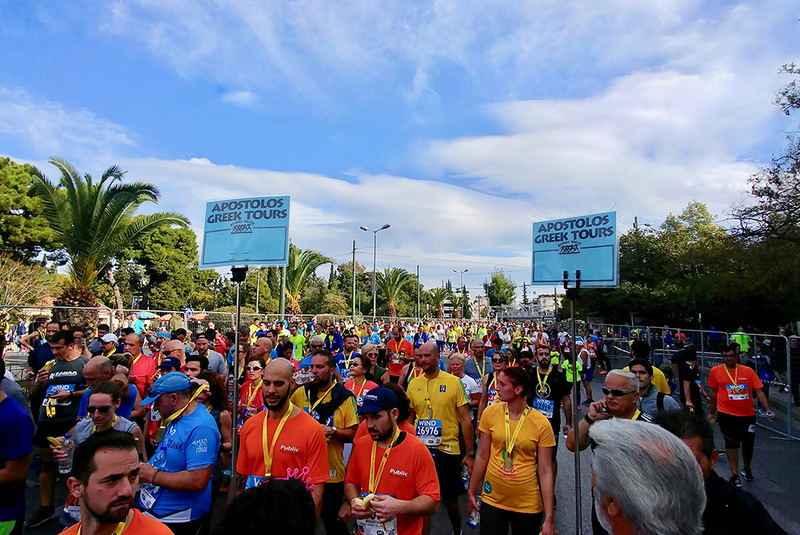 The Athens Marathon is recognized as the original marathon course and was the same course for the 2004 Olympics held in Athens. Visiting any foreign destination that is new to you, can be awkward and confusing for the first-time visitor. Things move at a much slower pace and it takes longer to get to places than one might expect. Read more of Paul’s letter click here. 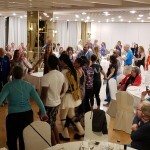 (6 day and 12 day tours). 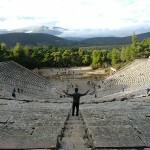 6 day package does not include as much site seeing. 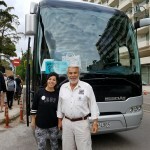 Please see the 12 Day Itinerary and 6 Day Itinerary for details. 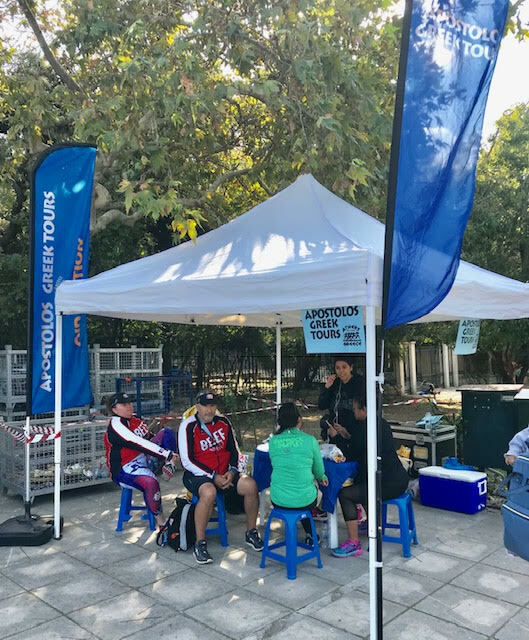 We have added to our 11 day package a visit to the ancient city of Olympia, the birth place of the first Olympics 776 B. C. We can run in the ancient stadium and visit its magnificent museum with many classical statues and see the Helmet of Militiades, the Athenian General of the Battle of Marathon. 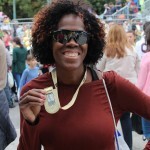 Olympia is also the location of the lighting of the Olympic Flame. 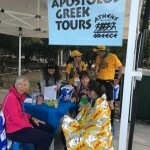 Apostolos Greek Tours “official travel agent for the Athens Marathon” has been providing quality, hassle-free marathon tour travel packages for runners to participate in the Athens Marathon since 1994. 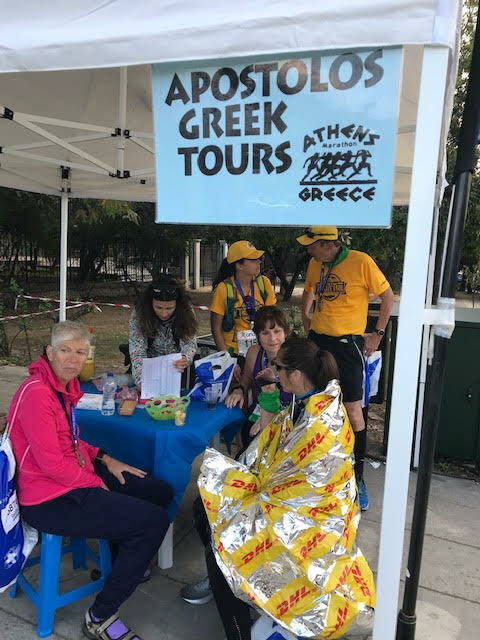 And the Athens Marathon is the ultimate Marathon experience, recreating each year the incredible run that started it all 2,500 years ago. 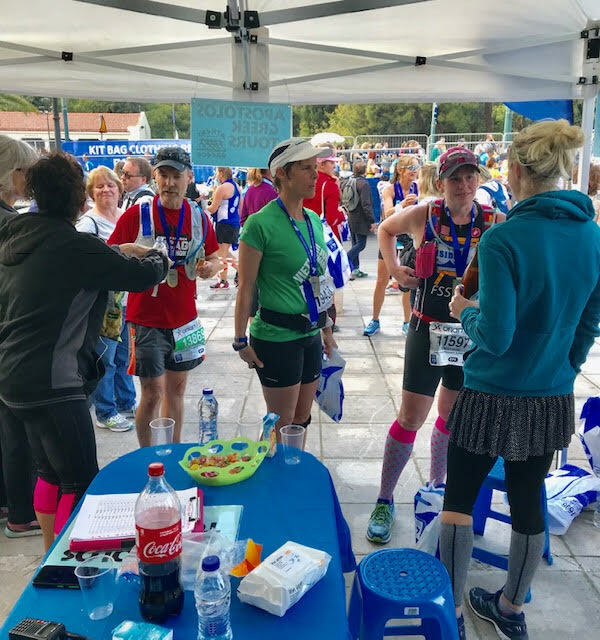 Whether you’re a runner or not, we hope you’ll take a few minutes to explore this site and learn more about the Athens Marathon, and why it has such a special place in the hearts of runners throughout the world. 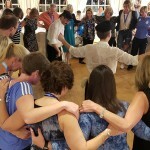 Each year we are pleased to get many wonderful comments and thank you’s.